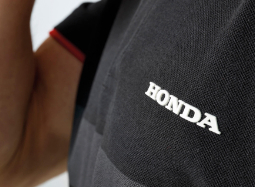 The Honda Dream Collection has always been at the heart of Honda merchandise. This collection was conceptualised with a clear, modern styling direction in mind. No matter what Honda model you drive or whatever your lifestyle is, you will find something in our wide collection to suit your personal taste. 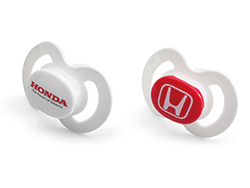 To wear during events or in your own free time, you can make Honda a part of your life, on or off the road. From outfits to accessories, Honda’s Dream Collection is made with the same standards of design and quality as to how we produce our cars, motorcycles or any other products. 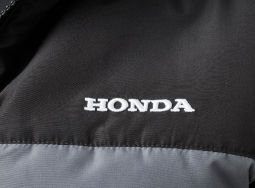 Live the brand you trust with Honda’s Dream Collection. This dark grey polo has a design with fashionable red accents on the collar and sleeves and features a 3D printed Honda logo. It’s a regular fit and has a red textile label with the Honda logo on the side. The straight hem with side slits and contrast red inner taping provides a classy and sporty touch to this indispensable garment. Material spec: Made of 100% cotton. 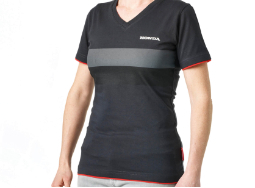 This dark grey t-shirt has a design with a 3D printed Honda logo on the chest and red accents. It’s a regular fit and has a red textile label with the Honda logo on the side. Woven loop label on the back neck. This dark grey t-shirt features ‘The Power of Dreams’ in Japanese. A regular fit including a red textile label with the Honda logo on the side. Woven loop label on the back neck. 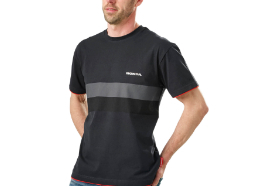 This dark grey t-shirt features a 3D printed Honda logo and red accents. Centred and with a V-neck. It’s a regular fit and has a red textile label with the Honda logo on the side. Woven loop label on the back neck. Material spec outside: Made of 100% cotton. Comfortable dark grey sweater with a kangaroo pocket and fashionable red details. This sweatshirt in regular fit provides excellent thermal insulation and comfort. It includes a 3D printed Honda logo and a red textile label with the Honda logo on the side. Material spec outside: Mad of 60% cotton - 40% polyester. This dark grey padded jacket provides extra warmth in a classy design by offering excellent thermal insulation and comfort. High quality zippers with red details and Honda labeled tags provide a fashionable touch. It has a red textile tag on the side featuring the Honda logo. Extra pocket added on the sleeve. Stand out from the crowd with this dark grey cotton Baseball cap. 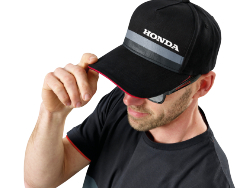 The red accents, contrasting lines and Honda logo turn this cap into a real eye-catcher. 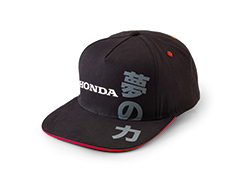 It has a metal buckle featuring an embossed Honda logo..
Express your personality with this dark grey 100% combed cotton Flatpeak cap featuring ‘The Power of Dreams’ in Japanese. The red accents around the whole cap and eyelets together with the Honda logo turn this cap into a real eye catcher. It has a metal buckle featuring an embossed Honda logo. Material Spec: Made of 100% combed cotton. Be ready to counter cold winters with this dark grey classic winter hat in a timeless design. It has a turn up featuring a contrasting stripe and an embroidered Honda logo. One size fits all. Complement your business look together with this A4 size conference folder. 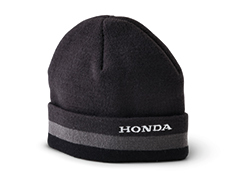 It comes with a luxury magnetic metal closure featuring the Honda logo. 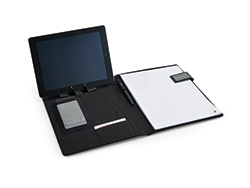 The A4 conference folder includes a tablet/phone stand and phone holder with see-through window which allows you to view and access your device. Suitable for most common phones. It includes a sleeve for documents, 2 card holders and a pen loop. It also has a recycled A4 paper notepad. 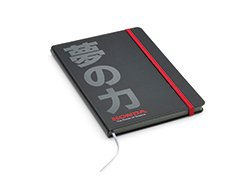 This notebook has a dark grey design with red accents, hardcover and softback spine. It features the Honda logo and ‘The Power of Dreams’ in Japanese. There is FSC certified paper inside and it has a red elasticated strap and page marker. 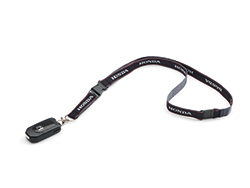 The dark grey lanyard with silk imprint logos and red accent stitching has a quick release buckle both in the neck area as around the key area. The metal hook makes adding or taking off keys very smooth and easy. 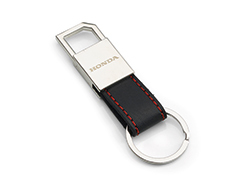 Fashionable chrome metal keyring with leather strap featuring an engraved Honda logo. 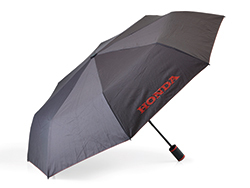 Be prepared for that unexpected shower with this black, high quality yet compact umbrella featuring the Honda logo and red accents. It has a convenient automatic open/close function and high-quality windproof system. Next to this it also features flexible red-coloured fibreglass ribs and a comfortable soft touch handle with integrated push-button. Included is a convenient cover with red accent stitching and carrying strap. Specifications: Umbrella diameter: 97 cm. Closed length: 28,50 cm. Weight: 352 g. Cover: 100% Polyester pongee, Handle: Plastic. Shaft: Steel. 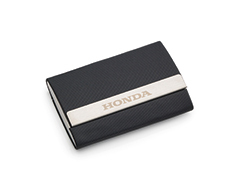 Impress your colleagues and business partners with this metal business card holder with a leather-look design and a laser engraved Honda logo. The soft touch finish inside the holder ensures your business cards are being stored in the best conditions. The card holder has two separate compartments to store your business cards and the ones you received. 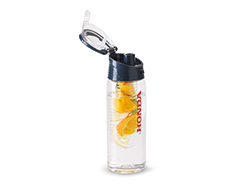 Trendy infuser bottle with Honda logo to flavor your water with your favorite fruit or herbs. The body is made out of tritan material so it is scratch proof and durable. The lid is made out of ABS plastic and has a handy locking system so you can carry all your flavored water safely wherever you go. Drink your coffee or tea in style with this contemporary porcelain mug featuring the Honda logo and contrast color striping. Red and white orthodontic transparent silencers featuring the Honda logo. Size 2 (6-18 months). Each blister contains two soothers. Made from BPA-free silicon and EN1400 compliant. Meet Joe! 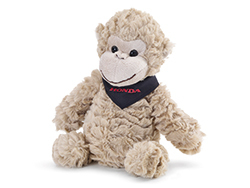 The light brown extra soft plush monkey with a dark grey bandana featuring the Honda logo. 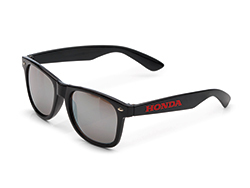 Be ready for summer with this stylish and trendy black sunglasses featuring the Honda logo. Specifications: UV400 - cat 3. 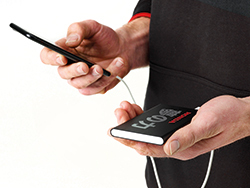 Never run out of power thanks to this powerbank. The power bank has a slim aluminum design with a high quality lithium polymer battery with a capacity of 4000 mAh . It comes with an on/off button and remaining capacity indicator with blue LED’s. 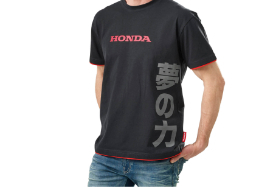 The design includes the Honda logo and ‘The Power of Dreams’ in Japanese. Specifications: output 5V/1, input 5V/800mAh. Including micro USB cable. Capacity: 4000mAh. 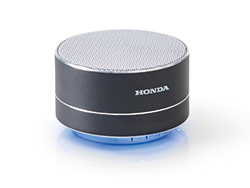 Enjoy your summer tunes with this compact yet powerful Bluetooth 3W speaker featuring the Honda logo. With a playing time up to 4 hours on one single charge and an operating distance of 10m, this speaker will surely impress everybody. It Includes an ambient blue light on the bottom. 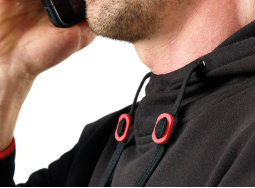 It comes with a pick up function to answer incoming calls hands-free. Specifications: aluminum design with built-in 300 mAh lithium battery. Floating ball pen in black with a red Honda logo and stylish diamond structure. 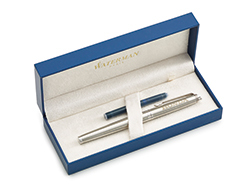 Make a lasting impression thanks to this premium quality Waterman fountain pen. This fountain pen has a stainless steel finish showing the Honda logo. It’s packed in a luxurious gift box together with an ink filling. 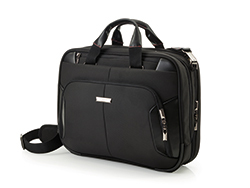 Another shining star from the 2018 Dream Collection, and also born from the solid cooperation between Samsonite and Honda, is the Honda Samsonite laptop bag. This lightweight yet strong and functional laptop bag with subtle Honda accents is designed for high endurance and performance. It consists of a top handle with a soft-touch underside and a zipped front pocket. Includes expandable, removable shoulder strap and smart sleeve which makes it fit right on top of the Honda Samsonite trolley. Extra added is a pocket for cables and USB drives. Interior: Main compartment with tablet compartment and Smart Fit laptop system. Premium laptop protection with memory foam for extra peace of mind from bumps and shocks. Large pocket to store smaller items separately. Tablet pocket, phone pocket, pen loops, document compartment, credit card slot and keychain attachment system to have keys always ready and in check. It is with utmost pride that we add this Honda Samsonite trolley to our 2018 Dream Collection. This unique Honda branded trolley is the result of a fruitful cooperation between two renowned brands and the trolley is one of the highlights of our new collection. This lightweight and functional cabin size trolley with subtle Honda accents is designed for high endurance and performance. It’s easy to maneuver thanks to its four-wheels set-up. The top handle is constructed with a soft-touch underside. Includes exterior pocket with internal organization. Also included is a luggage tag and a theft protection through combination lock. Interior: Front compartment, main compartment with ribbons and a zipped large pocket to store smaller items separately from clothes. There’s also a laptop compartment with Smart Fit laptop fastening system (max. size 15.6”). Laptop protection system for extra peace of mind from bumps and shocks. Includes smart sleeve, pocket for cables, USB pocket, tablet pocket, phone pocket, pen loops, document compartment, credit card slot and keychain attachment system to have keys always ready and in check. 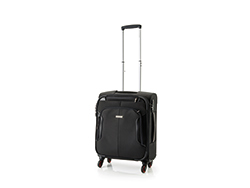 Specifications: Dimensions: 55cm x 41.5cm x 26.5cm, content: 34l, weight: 31kg, material: 90% polyester and 10% polyurethane, spinner (four wheels), colour: black with customized Honda accents (red stitching on handles, Honda logo on exterior badge, red rims on wheels, Honda logo engraving on pull bar and inner lining with red Honda accents). 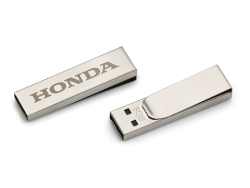 USB 8GB memory stick with a compact and stylish metal housing displaying the Honda logo. It can easily be clipped onto something thanks to the integrated metal clip. This versatile multitool with a laser engraved Honda logo is an indispensable must-have that comes in handy anytime, anywhere. 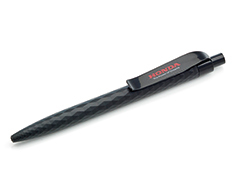 Also part of this versatile set is a lightweight LED flashlight with the Honda logo and a strap. The set comes in a gift box. For more information on the 2018 Honda Dream Collection, please contact us today!